A 21 hour Parliament session protests the Atwal cover-up by the PMO, Alberta’s budget draws criticism for its rising debt, protests at Trans Mountain result in MPs’ arrests and work delays, and an important look at data-mining on social media. The BQ fractures under poor leadership leaving questions for 2019, Stephen Mandel’s Alberta Party win shifts the party to former PC control, China’s government takes over BC seniors care, and we cover why Trudeau’s budget is not as good as it seems. 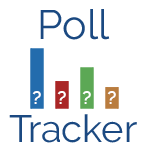 Alberta’s NDP government released a fiscal update that looked rosy but is not, the BC NDP government created an electoral reform survey to sway opinion despite appearing “neutral”, and we cover Finance Minister Morneau’s continuing clash with ethics. The Right Side 33 – Mean-spirited or Necessary? Is Kenney’s balanced budget feasible? The NDP calls it “mean spirited”! A BC Liberal “betrays” his party to become speaker, the federal government want to change taxes impacting small businesses, and McKenna virtue signalling in the NAFTA negotiations. Canada has strong economic growth; why are there still deficits? Tolls on BC bridges are eliminated shifting costs to taxpayers, a meme from Jason Kenney causes overblown coverage, and the Feds are spending money in Lac-Saint-Jean ahead of a by-election. A look at Canada’s 2017 Federal Budget and its allocation of funds. M103 has been passed but to what end? Premier Notley says a PST in Alberta needs a mandate. Meanwhile, the media misdirects on Snapchat and cardboard cutouts of the Prime Minister. On this first episode of The Right Side we discuss the future of democracy in Canada, unity in Alberta, and what budget deficits mean for each and every citizen. Former Prime Minister Stephen Harper forecasting tiny deficits.